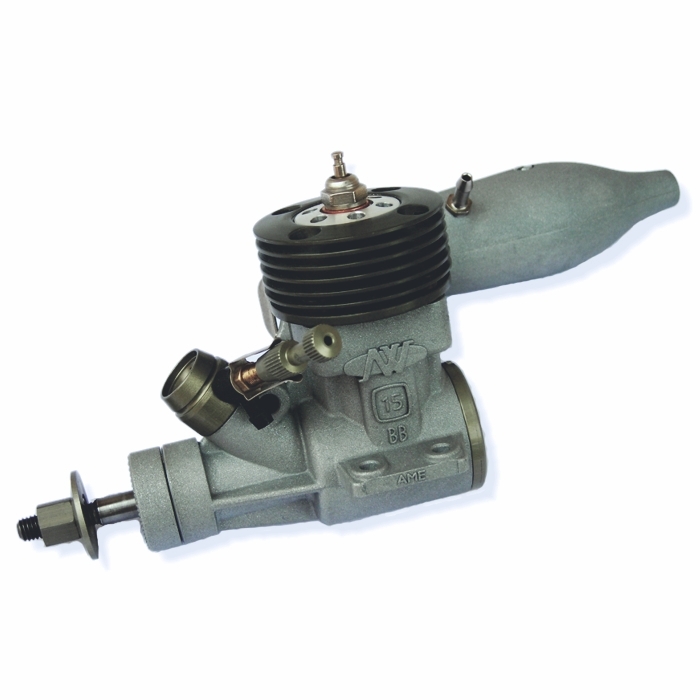 The AME 15 BB is a two-stroke, air-cooled, high performance engine for free flight and control line model airplanes. Made with exclusive Revlite cylinder/piston (matched set) technology and high precision machining, this engine offers a superior power-to-weight ratio, friendly performance and durability – all at reasonable cost. With ball bearing-supported crankshaft for smooth operation, with a pressure-tapped muffler to obtain maximum performance, with a custom hand-fitted piston/cylinder, one-piece crankcase, and very high-precision machining, this engine offers outstanding performance and durability.